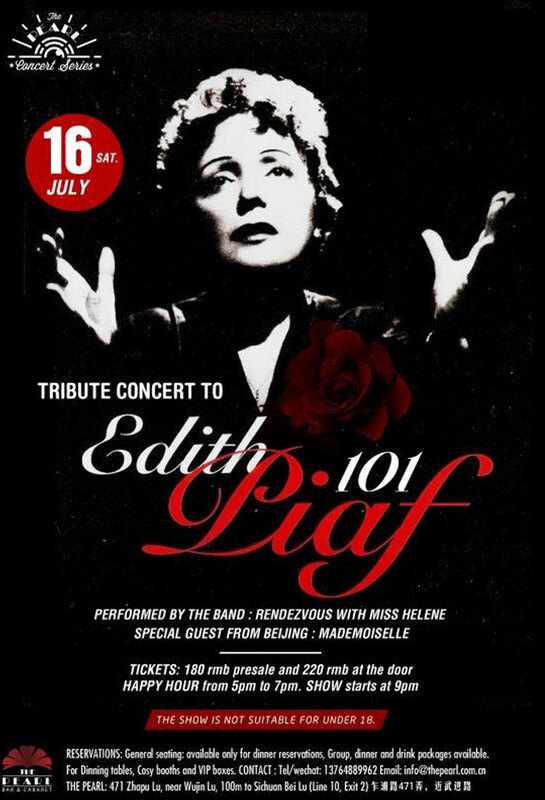 The Pearl, the band Rendezvous with Miss Helene, and the special guest Mademoiselle from Beijing present the Tribute concert to the greatest French international artist: Edith Piaf. Celebrate her 101st birthday with a live band doing her classic songs: “La Vie en Rose", "Non, Je Ne Regrette Rien", "Hymne à L’amour”, and more. Zut! Show starts at 9pm.